In New York, child custody and visitation arrangements are defined during a divorce case or a separate hearing. The arrangements are enforced by the court to provide equal time with the child whenever possible. The type of custody awarded determines which parent has possession of the child most often. Our divorce attorney in White Plains NY will assist parents who need to file a motion to enforce their visitation rights. How is Parenting Time Defined? Joint custody assignments provide one parent with possession of the child during the week. The non-custodial parent picks up the child on alternating weekends. However, parents who live in the same city could alternate weeks and/or weekends. The assignments split time during holidays, summer vacation, and birthdays. Sole custody assignments provide one parent with full control over the child. Typically, the assignments are provided due to a risk to the child. The non-custodial parent receives supervised visitation with the child. The assignments won’t present the potential of the same amount of parenting time. Why is Parenting Time Necessary? 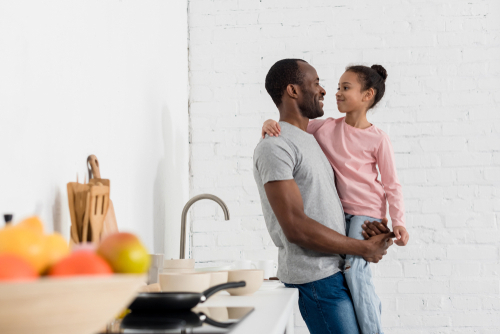 As a New York divorce lawyer explains, it is vital for the child’s well-being to have equal time with each parent whenever possible. The parenting time enables the child to continue the bond they share with their parents. Visitation is necessary to give the child the chance to have both parents in their life. With the right plan, the child won’t face any serious emotional difficulties. How is Parenting Time Enforced? A Divorce Attorney in White Plains NY files a motion to enforce visitation rights whenever they are denied. According to local laws, a parent cannot refuse visitation for any reason. Even if the noncustodial parent is behind on child support payments, it is unlawful to deny visitation. The noncustodial parent reports any refusals to the court, and the custodial parent faces penalties for violating a court order. In New York, parents establish visitation rights through a divorce or child custody hearing. The rights give the parents adequate parenting time with their child based on the custody order. The parenting time is vital for the health and well-being of the child. Parents who are denied visitation with their child contact a Divorce Attorney in White Plains NY at The Law Office of Nicole Muscente right now.